FORT COLLINS, Colo. — Wildlife officials say a man who fought off a young mountain lion on a northern Colorado trail killed the animal by suffocating it. On Tuesday, Colorado Parks and Wildlife said the investigation confirmed the man’s account that he suffocated the animal. According to reports, the cat was less than a year old and weighed about 80 pounds. Reports also said it tested negative for rabies. The attack comes after state wildlife officials announced they recently trapped and killed five mountain lions in the Glenwood Springs area after residents reported aggressive behavior by the predators. Glenwood Springs is located about 220 miles southwest of Fort Collins. 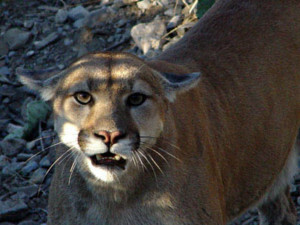 The Rifle Citizen Telegram reports Parks and Wildlife officials trapped and killed the mountain lions last month. Area wildlife manager Perry Will says four of the animals were believed to be a mother and her grown kittens. Video footage from a west Glenwood Springs residence showed the four mountain lions stalking around the neighborhood. Will says each of the lions killed last month were believed to be at least a year old and over 80 pounds. Will says euthanizing the cats is often the only option. Mountain lion attacks are rare in Colorado, where their population is strong – 16 people have been injured and three killed by mountain lions in the state since 1990.